Today’s post marks the third in our back-to-school readiness series. I hope you’re already feeling well-prepared for the season ahead. If you’ve been playing hookie or just feel left behind, here are the first two lessons again: it’s/its and further/farther. Complimentary is the more common of the two, and so I’ll start with it. Most of us correctly spell complimentary when we mean the first definition, because it’s easy to think of paying someone a compliment, making your remark a complimentary one. The sticky part is the “free” meaning. 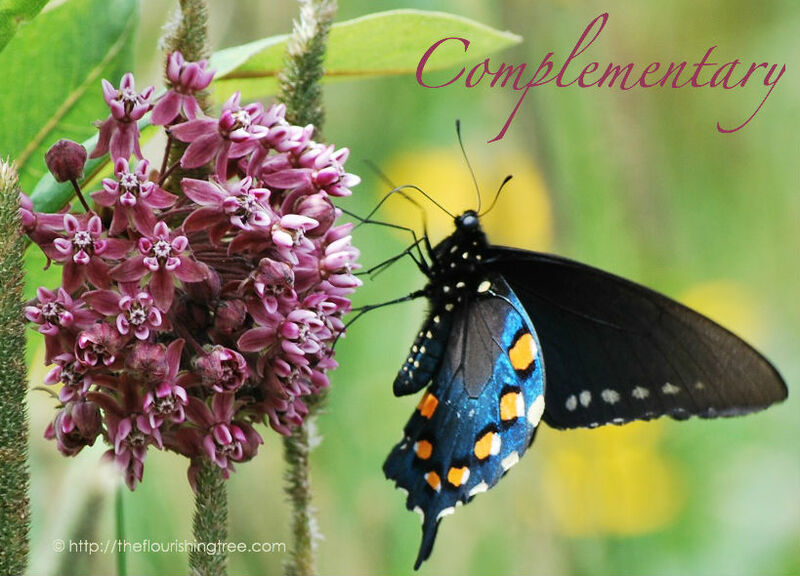 Here’s a little trick that might help: a compliment is free to give and free to receive. If your friends comment on your fabulous new haircut, their compliments don’t cost anything. So if something is free, then use the word complimentary to describe it. It’s like someone paying you a compliment by giving you something free. I love eating at Mexican restaurants that serve complimentary chips and salsa. Aveda offers a complimentary neck and hand massage just for stopping by the store. I wish the complimentary chocolates on my hotel pillow had ingredients listed on them. Now, you could argue that the chips and salsa and the chocolates aren’t technically complimentary because you are buying other food at the restaurant and paying for your hotel room, but for the sake of this lesson, let’s agree that they’re free and, therefore, complimentary. I saw this ad for an upcoming local race and thought it might help you remember: complimentary means free. I love complimentary massages after running a race. Complementary may seem more difficult to you, but think of it this way: something complementary always has to be part of (at the very least) a couple. More than two items can be complementary to one another, but you cannot have a single thing that is complementary without it having some other thing it completes. Think of it as “couplementary,” and you’ll see that there’s no -i in there. The waiter suggested complementary wines to go with our entrees. The wall paint complemented the furniture colors, making for a pleasing, put-together room. A strength-training program will complement your weekly runs as you prepare for the marathon. Notice that in each of these examples, you can find a couple: wine + entrees, paint + furniture and strength-training program + weekly runs. My earliest introduction to the word complementary was in art classes, and here, too, you’ll find pairs. Complementary colors are opposite of each other on the color wheel, and they bring out the best in each other when you see them both in a painting or photograph. They provide a more complete visual experience. Complementary colors in nature: the dark pink petals complement the light green leaves of Joe-Pye weed, and the orange spots complement the blue on the Pipevine Swallotail’s wing. Wikipedia’s entry on complementary colors makes for a fun read, and for you gardeners out there, I highly recommend Cornell University’s page on the effect of complementary colors in your garden. I like a riot of color in my own garden, but there are a lot of reds and greens to complement one another, and my purple and yellow irises complement each other when they bloom. Now that you know how to use complimentary and complementary, you may start getting more compliments about how smart you are. Do you have a grammar or spelling issue that gives you grief? Or do you have a fun way to remember how to spell certain tricky words? I’d love to hear about it in the comments below. This entry was posted in flourishing tree and tagged back to school, complementary, complementary colors, complimentary, complimentary/complementary, language, red pen by hopesquires. Bookmark the permalink. I just have a problem with people spelling words the way they sound….so many misspelled words or the “texting” language drive me batty!! 😉 Such is the world we live in. Wen I first started texting, I had a friend who said, “I bet all the misspelling and bad grammar in texting drives you crazy.” It doesn’t bother me so much in texting, but the texting shortcuts do creep in to the rest of our language, don’t they.